Yarn Vault @ the Downtown Mall: Knit or Crochet? I have finished a swatch and ask you, is it Knit or Crochet? If you said crochet you are right! This is a Tunisian crochet swatch. 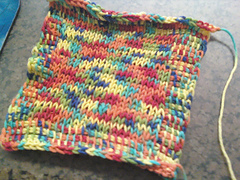 Anyone interested in learning this style of crochet that can look like knitting contact me to schedule a class. 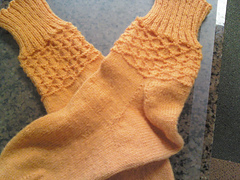 Also finished this week, socks. 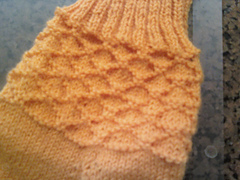 This is my go to sock pattern with honeycomb pattern on the leg. Can't Go to Rhinebeck Sale!